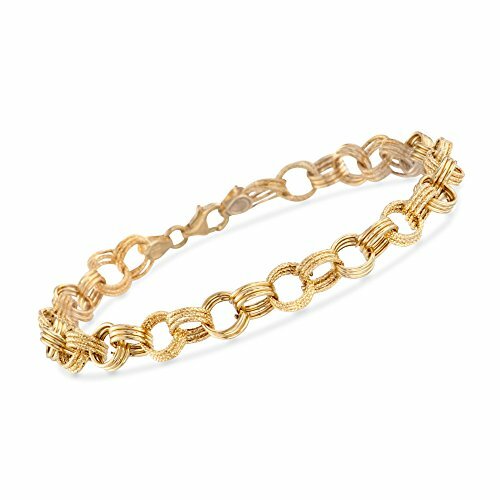 14kt yellow gold, signature circle-link bracelet for women. Textured and polished 14kt yellow gold. Crafted in Italy.